Landscape is a premium WordPress theme for the Genesis Theme Framework from StudioPress which could be used for gallery, photography or portfolio related websites. The theme includes a featured slider on the homepage, multiple posts / page layout options, navigation menu controls, back-end options panel and more. 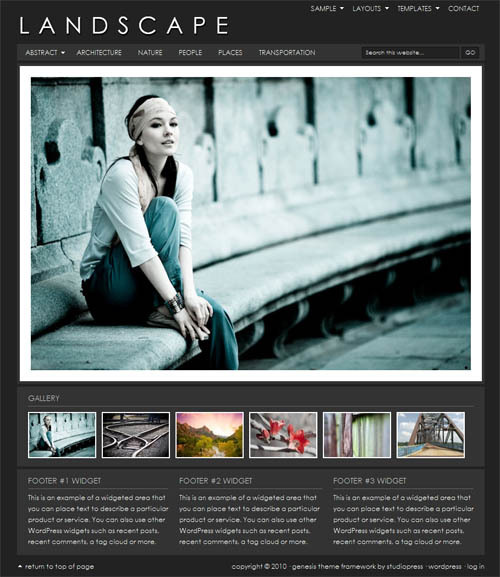 Perfect wordpress theme for photo blog!